Senter, Realtors has been an industry leader in the real estate profession for over 60 years. With our full time office staff, transaction coordinator, multi-generational leadership, and office systems in place we have the best environment for YOU to MAXIMIZE your potential. 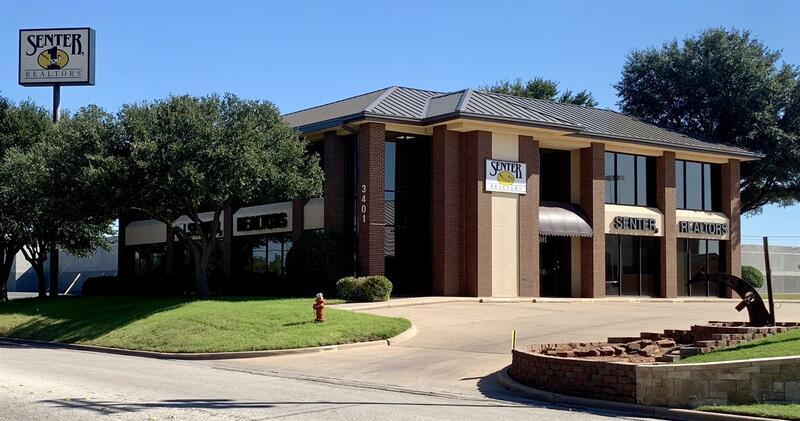 The active office environment, highest closed volume rate per capita of any company in town, and beautiful office to do business in allow full time agents to thrive! We are your locally owned residential and commercial experts with a "Tradition of Trust" for the last six decades. You'll receive a full size and private office! Complete with desk, phone, and storage systems. We provide all of your signs and advertising for print and digital mediums - Free to you!! We'll make your flyers, handle your data input, provide company paid mail outs, and assist you with education costs. With our strong office support even our top agents who have over 17 million dollars in closed property value per year have never needed to hire an assistant. That gives you time to focus on your clients, generate business, or even take more personal time for yourself. Not being stuck in an office with time consuming paperwork and tasks. This all means MORE money! In YOUR pocket!! The system at Senter, REALTORS will have you taking home the most money at the end of the day while providing support that is second to none. Let us show you how! If you're a new agent we have a comprehensive 6-7 week training session so that you can learn all the ins and outs of the business. We'll cover the MLS, contracts, laws, ethics, common mistakes, real world sales practices, negotiating, and more to give you confidence in your real estate practice. Education is never ending, and you'll always have the support of the management. Explore the non-franchise option with no desk fees, no advertising costs, no phone costs, no printing costs, no monthly fees, NO SURPRISES. Combine that with our bonus payback system and you'll learn why many of our agents have been with us for 30+ years. Our agents are provided constant support and kept up to date on the latest changes in the industry. Our primary goal is to make you a successful agent. If you’re ready to put in the work our team at Senter, REALTORS will catapult you into a fulfilling and enjoyable real estate career. For more information contact Shay Senter at Shay@SenterRealtors.com to setup a confidential consultation to discuss your career options and goals today!